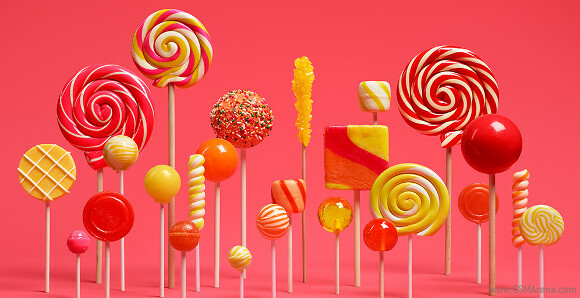 Following in the footsteps of Motorola and HTC, both of which made their plans public already, Sony has today let us know which of its devices are due to get upgraded to Android 5.0 Lollipop. The L release of Google's mobile operating system finally got named yesterday. And now we have some good news for owners of Sony Xperia devices - specifically, those in the Z series. The following products are going to get the Lollipop update: Xperia Z, Xperia ZL, Xperia ZR, Xperia Tablet Z, Xperia Z1, Xperia Z1S, Xperia Z Ultra, Xperia Z1 Compact, Xperia Z2, Xperia Z2 Tablet, Xperia Z3, Xperia Z3v, Xperia Z3 Compact, and Xperia Z3 Tablet Compact. The Sony Z Ultra Google Play Edition will be the first one to be blessed with Lollipop. For the rest, the rollouts will commence in early 2015, starting with "the core Xperia Z3 and Xperia Z2 series", whatever that may mean. We assume that Sony's wording is referring to (at least) the Xperia Z3, Z3 Compact, Z3 Tablet Compact, and Xperia Z2, but nothing seems particularly set in stone just yet. Obviously the remainder of devices on the list above will get their updates at a later point in 2015, so there's still quite some waiting to be done. As for any handset not on this list, you probably shouldn't expect a miracle. Sure, Sony could add phones to it, but given past behavior that's rather unlikely. Thanks for sending this in, Amey Deshmukh!